It may seem like only yesterday that Chinese phone manufacturer Oppo released its R15 and R15 Pro (in Australia, that was June), and its pop-up camera-touting Find X after that (August for Australia), but yet another flagship has now been announced. 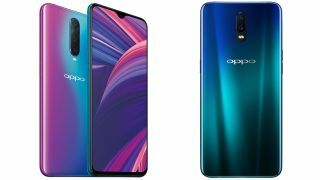 The Oppo R17 and R17 Pro are next in line for the company’s R-series of premium mid-range handsets, offering some choice features typically found in phones almost twice the price. In particular, the new pair of Oppo phones boast some impressive camera specs, with both featuring Sony-made sensors and artificial intelligence (AI) to enhance your shots. While the R17 has a dual lens for its rear camera, the R17 Pro also features a third “Time-of-Flight” (TOF) sensor which acts as a rangefinder to allow for an Ultra Night Mode and the capturing of 3D images. Ultra Night Mode – a setting which makes night photography sharp, clear and bright as day – is apparently made possible by a combination of the larger (and hence more light-sensitive)1.4μm pixel-size in the camera's Sony IMX362 sensor as well as an auto-adjusting aperture, which varies in size dependent on the detected lighting conditions. Although it's already debuted on previous Oppo handsets, the company’s signature SuperVOOC Fast Charge will be landing on an R-series handset for the first time with the R17 Pro, allowing for a 40% battery recharge in just 10 minutes. Both versions of the handset share the same 6.4-inch AMOLED display, with a 2,340 x 1,080 resolution, Gorilla Glass 6, droplet-shaped notch and in-display fingerprint scanner – an impressive feat that is yet to enter the market in any serious way. While we’re yet to receive word on a global release, the Oppo R17 and R17 Pro will be available for AU$699 and AU$899 respectively in Australia from November 12, and can be found at retailers such as JB Hi-Fi and The Good Guys. We'll update this article as soon as we know more about pricing and availability in other markets.